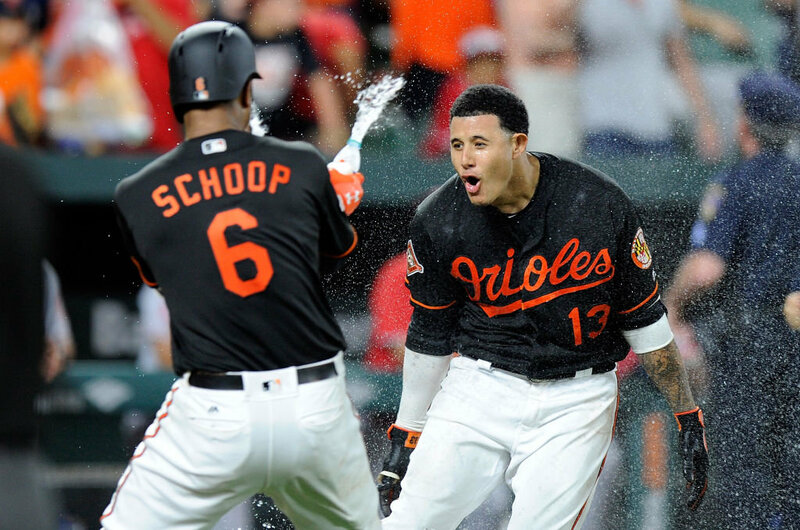 When the 2018 MLB season started Dodgers shortstop Manny Machado and Brewers second baseman Jonathan Schoop were playing together on the Orioles. Now, the two men, who are also really good friends, are facing off in the NLCS. Both players were developed by the Orioles and developed a close friendship during their time with the team. The two infielders are less than a year apart in age and were first teammates in the Minor Leagues in 2011. They are also known for sharing some hilarious moments as teammates. The sad part about this MLB reunion? Only one half of this friendship will be moving on for a chance to become the World Series champion in 2018. If you don’t particularly care for the Dodgers or the Brewers, this might still be a good excuse to tune in. I mean, just look at these two buddies celebrating in the photo at the top of this story.